Be mindful of the landscape as well as the building. We spend a lot of time thinking about the components of a new house: windows and doors, insulation, the heating and cooling system. But, in terms of green success, some of the most important planning goes into the surrounding site. In the short term, limiting construction damage to the landscape is high on the list. In the long term, however, success depends on how well the house is integrated into its surroundings. Even a thoughtful building design won’t reach its potential if the site is an afterthought. Not all site damage is clear-cut. Site-work vehicles intentionally alter the building site; building a new home on a new lot disturbs the landscape. Topsoil and vegetation are removed; less stable sub-soil is exposed. Steeper sites are more prone to erosion. Carelessness here can lead to long-term damage. Construction vehicles can damage the surrounding landscape in obvious ways: A tree takes a direct hit from a piece of heavy equipment, or the grade within a tree’s drip line is raised or lowered. Raising the grade with extra fill can suffocate roots; lowering the grade destroys them. Other, perhaps unintentional damage such as vehicular traffic is not so obvious. This compacts the soil, which is bad for plants. Roots don’t get as much oxygen and the soil doesn’t absorb as much water, suffocating and starving roots and contributing to erosion. Planning ahead reduces long-term damage to soil, plants, and trees. To do the least harm to the environment around your building site, be prepared. Get the information you need. For bigger picture solutions consult LEED for Homes or the NGBS. They offer guidance on slope and site disturbance, erosion control, storm-water management, and a landscape plan that considers native and invasive plants. Install a fence beyond the tree’s drip line – the area beneath the outermost branches – to protect it from soil compaction. Create terraces or large-diameter wells to maintain existing grades around trees. Limit vehicles to permanent roads or designated parking areas. If vehicles must drive over the trees’ roots, cover them with 3 in. to 4 in. of wood chips, wooden planks, or sheets of plywood. Significant trees or landscapes need extra protection. The best way to ensure their protection on a building site is to award incentives or assess penalties that make it worthwhile for contractors to be careful. Consider rewarding excavators and other project contractors when they are extra careful. Alternately, you can incorporate a penalty clause into contracts so that if designated trees are injured in the construction process, the contractor is liable. Properly protecting trees can be expensive. But, mature trees can increase property values, shade trees reduce cooling loads, and last, but not least, they provide important wildlife habitats. Finally, trees unlikely to survive should be removed and replaced by native species that will adapt to altered site conditions. Mature trees lovingly “saved” with inadequate protection die within the first year of occupancy. 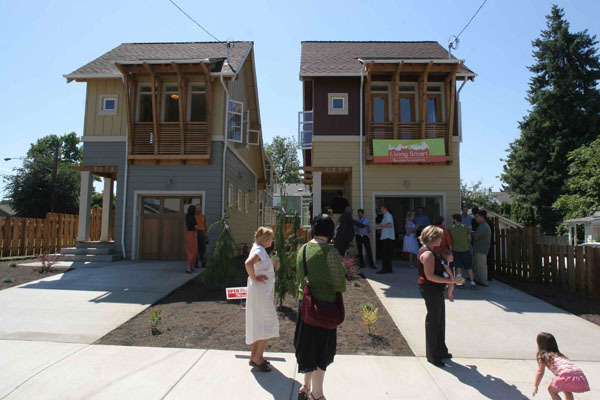 Build on infill lots such as vacant adjacent lots, brownfields, grayfields, and lots in depressed neighborhoods. The services are already in place, and the price might be great. Don’t build in sensitive areas. Floodplains as defined by the Federal Emergency Management Administration, habitats for endangered species, and other environmentally sensitive zones are not appropriate for building. Existing utilities are greener and cheaper than bringing in new ones. Keep close to community. When services such as schools, shopping, and public transportation are near great housing, people travel less and the whole community is greener. Community gardens are another way to green up a neighborhood while bringing members closer together. Find out what the property was used for in the past. Previous uses for the property might have introduced chemical contaminants, such as lead, pesticides or petroleum products. Farming, including orchards, and industrial and commercial operations all have the potential for leaving contamination behind. 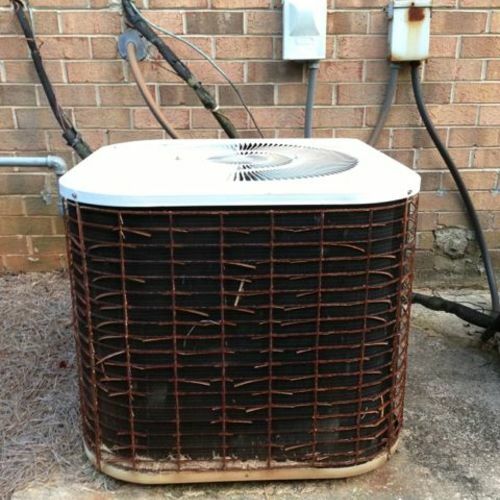 How well a house sits on its site can affect heating and cooling costs. The surrounding landscape plays a big role, if you let it, and how you manage water (drainage, to be specific) can directly affect the long-term durability of the house. You should also swap impermeable surfaces, like asphalt or concrete driveways, patios, and walkways, for permeable ones—hardscaping matters, especially in densely settled areas. Sun No single site characteristic affects a home’s energy performance and comfort more powerfully than the sun. 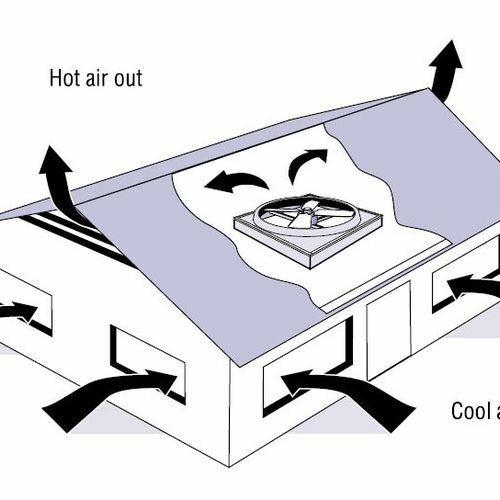 In cooler areas, there is tremendous potential for using the sun to provide heat even without elaborate mechanical systems. In warmer zones, managing sunlight ensures a more comfortable house without using a lot of energy. Making the most of a site’s daylight potential is important no matter where the house is built. 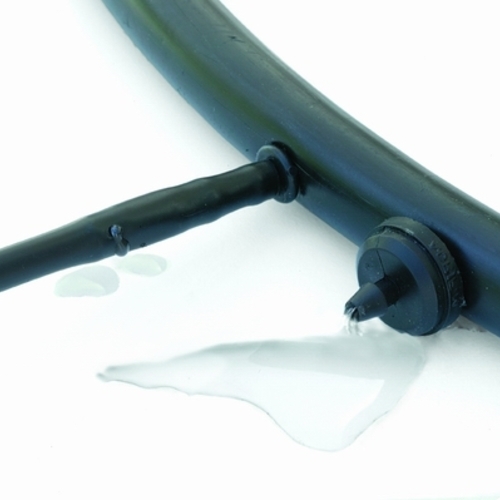 Drainage In all but the most arid climates, sub-surface water and runoff from rain and snow are facts of life. Good water management means keeping it out of the house and in the ground. Water that runs off into the street can overload storm drains and dump pollution into rivers and lakes. These consequences are best thought out in the initial phases of construction. Landscape A goal of good design is creating a house that looks like it belongs in its setting. Consider two issues: the natural features on the site before construction; and how the site should look like when the house is done. Hardscape Driveways, decks, patios, and sidewalks are necessary to get people and vehicles to and around a house. These hardscape elements also have big implications for water management and overall aesthetics. 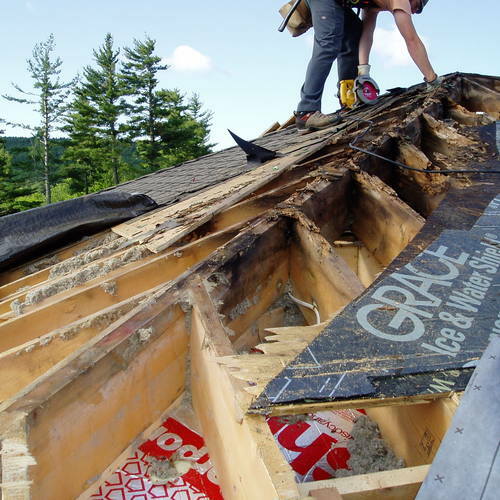 **How a house is sited has a big effect on heating, cooling, and long-term durability. ** A south-facing orientation and thoughtful landscape planning can offset heating and cooling costs. Permeable surfaces for walkways, patios, and driveways can help replenish aquifers and reduce storm water runoff. No matter how careful you are, building a house is going to have a huge effect on the site. Look for ways to tread more lightly, but look for a lot that’s already been trod upon. 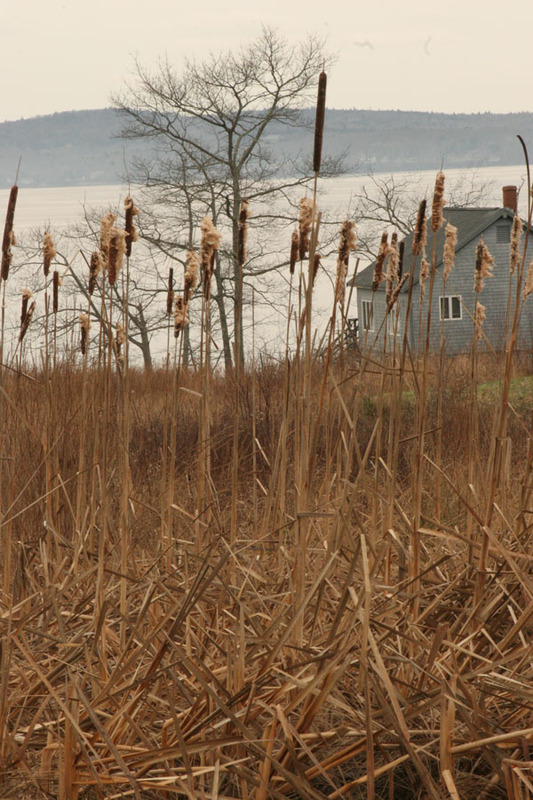 WETLANDS ARE SENSITIVE PLACES in many ways. Because they filter water, there is a tremendous amount of biological activity going on in those “swamps.” When they’re filled in or contaminated, their ability to clean water is diminished. They also absorb storm surges, which helps prevent flooding. Ever wonder why there are so many Canada geese on golf courses and in city parks? Because so many wetlands have been filled in recent decades, these inhabitants have to go somewhere else. But wetlands do more than just keep the geese off golf courses. They absorb excess floodwater. The vanished wetlands around New Orleans caused a severe storm surge that would have been absorbed 50 years ago. These wetlands were drained in order to build houses, pipelines, and other infrastructural “improvements,” but the consequences were clear when Hurricane Katrina hit. Wetlands restoration is now at the top of the Army Corps of Engineers’ priority list (along with fixing the levees). On mountain sites, pier foundations make a lot of sense. Even when you do build off the beaten path, up in the mountains or down by the bay, you can tread lightly by using pier foundations to reduce the footprint. Piers remove less soil, and their construction uses fewer resources. SQUEEZED IN WITHOUT CROWDING OUT. Deep setbacks and clever landscaping can hide an infill house in plain sight. The middle home has private front and backyards. The houses on either side don’t have suddenly impeded views when the new house goes up. Every year, 1.25 million acres of farmland are lost to development, according to the American Farmland Trust. In a time when food crops are competing with fuel crops, converting farmland to residential use should be considered carefully. Houses built on newly developed farmland do more than just cut food and fuel production; they also boost fuel consumption because of the long commutes necessary to city centers. 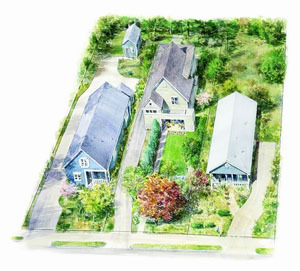 * Infill lots are adjacent to previously developed lots. Existing city lots offer many benefits, such as infrastructure, that can make a house more affordable to build and maintain. * Brownfields are sites that have been polluted in the past, but may be suitable for housing. * Grayfields are economically obsolete or failing properties. Many inner-city neighborhoods are ripe for revitalization. Using less-desirable real estate for building keeps more prime farmland and forest undeveloped and available for food and fuel production as well as wildlife habitat. When houses are built near existing water and sewer lines, construction costs are lower and there’s less pressure to build new lines. 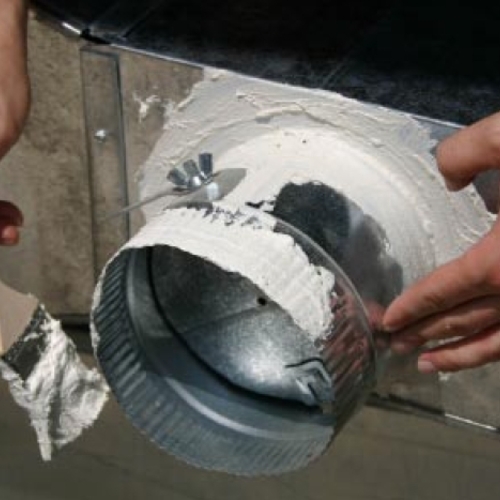 This saves money for the builder, home owner, the city, and the environment. When houses are built near libraries, banks, daycare centers, and supermarkets, homeowners won’t have to gas up their vehicles as often and communities will need fewer new roads. Pedestrian-friendly amenities such as sidewalks and boulevards also promote healthy exercise and encourage people to interact as they meet face-to-face in the neighborhood. Making it easy to walk to the corner store encourages and supports small business. Existing plants are the best buy — they’re already planted, mature, and accustomed to their surroundings. New plants need a lot of water to get used to their new environment. Big trees cost big bucks, so keeping them intact is a value proposition. Design with this landscape in mind. 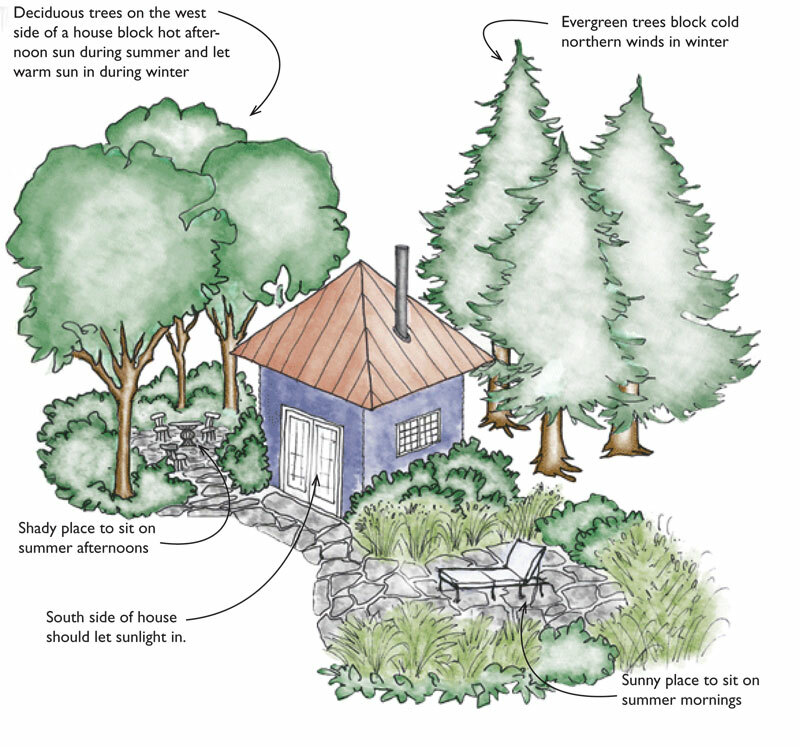 Existing trees and shrubs can help you site a house for passive heating, cooling and energy-gathering potential. This should be worked out at the design stage (first) rather than at the landscaping stage (last). All of those options are more attractive than hauling waste wood to a landfill. Trees can help keep a house cool, but they also shade solar panels. You can use deciduous trees to keep heat out in summer while letting some in during winter, but all that shade during the sunniest part of the year works against photovoltaics (PV) and solar water heating. One answer is to use deciduous trees that don’t grow very tall, and locate the panels where the summer sun can reach them, or place the panels off the roof. 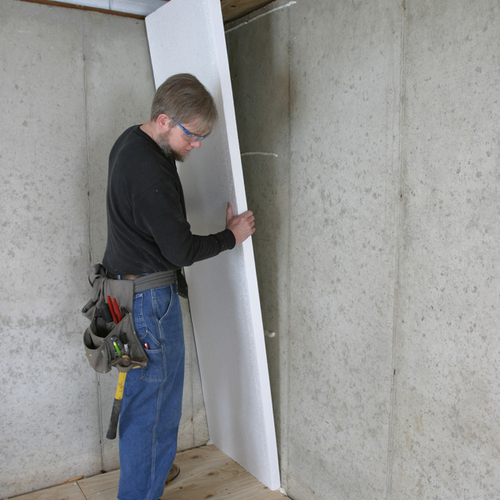 Water needs to be kept away from the foundation-but not too far away. Designing a house to direct water away from the foundation is second nature to many builders and architects, but the water shouldn’t run off into the street and down storm drains. That just overtaxes city sewer systems and pollutes lakes and rivers. Rather, look for ways to keep water in the ground and the foundation dry. LEED for Homes Up to 10 points available in Location & Linkages (LL-about where build), up to 22 in Sustainable Sites (SS-about what you do with the site once you have it). NGBS Many opportunities for points under Ch. 5–Lot Design. LEED for Homes, NAHB Guidelines and NGB Standard all contain sections relating to site management. In my experience as a green rater/verifier, site management (in most builder's minds) means covering most of the site with rock so multiple trucks can park on the lot without getting stuck in the mud. If we're lucky, there might be a silt-filled silt fence and clogged silt socks at storm sewer inlets. Site management is an important green building issue that I think should be covered with disussion and/or devoted sections on Lakesideca Advisor.